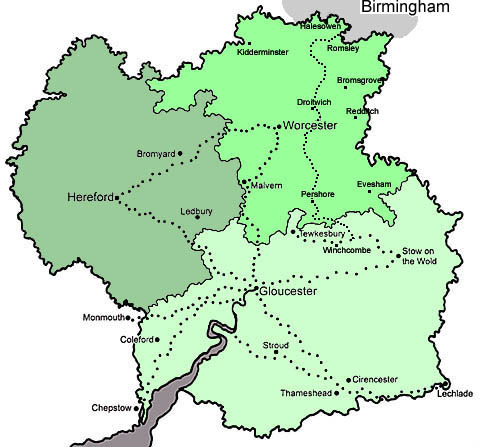 Countryside-Matters is a small independent publisher based in Gloucestershire near the historic town of Tewkesbury. We publish descriptions of long walks having strong local connotations and a depth of feeling for the old footpath ways through the countryside. Currently five guide books are available describing over 300 miles of walking through Gloucestershire, and parts of Monmouthshire, Herefordshire and Worcestershire. Footpaths are as old as man. Wherever people have gone on foot a trail appeared. Our present footpath network contains tracks that go back to prehistoric times, and others from every period in history.